We are extremely proud of our flagship clinic in Harley Street, London, an area of London with a long history of highly regarded medical establishments and home to The Harley Medical Group since we were established. 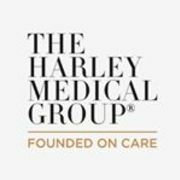 The Harley Medical Group is one of the UK’s leading cosmetic groups specialising in cosmetic surgery, dermatology, facial treatments, body treatments, skin peels and advance skincare products. As a group we are committed to the highest standards in delivering medical procedures and aftercare. The group has clinics across the UK, including London (Harley Street, Chiswick, Wimbledon and Liverpool Street) Watford, Marlow, Birmingham, Leeds, Brighton, Bristol, Manchester, Nottingham, Southampton, Cardiff, Chelmsford, Northampton, Maidstone, and Liverpool. A dedicated strong team of nurses, surgeons, and doctors along with their commitment to each and every patient is one of the Group’s greatest assets. The Group’s primary goal is to look after all patients, offering the highest standards of care at all times. Sólo tienes que subir tres fotos estándar ahora para ver una simulación 3D en tu próxima cita con The Harley Medical Group - Harley Street. Visualiza tu cuerpo o rostro actual en 3D antes de la consulta y obtén acceso desde casa a tu nueva imagen después de la consulta para poder compartirla con amigos y tomar una mejor decisión. Después de la consulta, The Harley Medical Group - Harley Street puede darte acceso para ver tu "nuevo yo" desde casa, con tu propia cuenta Crisalix. Esto te permitirá compartirlo con tu familia y amigos o con cualquier persona a la que quieras pedir opinión.